The JSE tracked higher on Monday as optimism over US-China trade talks lifted global stocks. Equity benchmarks in mainland China and Hong Kong rose as markets anticipated a possible solution to the tariff trade dispute which has spread jitters across the globe. The Shanghai Composite Index gained 1.17%, whilst the Hang Seng climbed 1.41%. The positive sentiment spread across Europe where all the major indices traded mostly firmer. 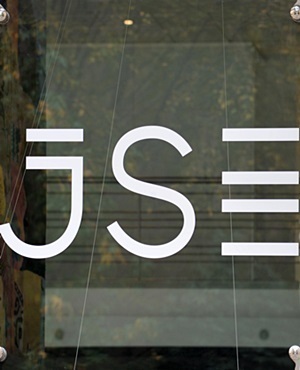 On the JSE, the local bourse opened firmer and extended its gains as blue-chips advanced. Naspers [JSE:NPN] was buoyed by Tencent Holdings closing 4.09% firmer on the Hang Seng. Naspers itself managed to firm by 2.14% to close at R3 253.75 per share. Rand Merchant Holdings [JSE:RMH] gained 2.2% to close at R77, ended among the Top-40 index’s biggest gainers. FirstRand [JSE:FSR] managed to add 1.4% to close at R63.85, while diversified miner, Anglo American PLC [JSE:AGL] closed at R291.95 per share after adding 1.55%. Platinum miner, Lonmin [JSE:LON] was one of the day’s biggest gainers after jumping 9.55% to close at R7.23 per share. Barloworld [JSE:BAW] firmed to close at R123.55 after adding 4.84%, and Zeder Investments [JSE:ZED] advanced 3.09% to close at R5 per share. Anglo American Platinum [JSE:AMS] rose 2.54% to end the day at R421.26 per share. Steinhoff International [JSE:SNH] pulled back by 5.56% to close at R2.21 per share following its dramatic rally towards the close on Friday. Rebosis Property Fund lost 6.78% to close at R7.15 after the company flagged a decrease in its earnings and dividend in a trading statement for its full year results. Gold miner, Harmony Gold [JSE:HAR] lost 4.08% to close at R21.17, while sector peer Gold Fields [JSE:GFI] was 2.97% weaker to close at R34.60 per share. Sasol [JSE:SOL] released its full-year results which indicated a decrease in earnings for the period reported. The stock lost 1.04% to close at R523.00 per share. The JSE Top-40 index closed 0.99% firmer while the broader JSE All-Share index firmed by 0.88%. All the major indices on the JSE closed firmer. The Industrials index climbed 1.22% while the Resources and Financials indices added 0.54% and 0.66% respectively. The rand swung between gains and losses as it managed to peak at a session high of R14.45/$ before it slid to a low of R14.80 against the greenback. The rand was trading at R14.63 against the greenback at 17.00 CAT. Gains in Gold were capped to a session high of $1189.81 per ounce before it retraced to trade at $1185.67/Oz at 17.00 CAT. Platinum was up 0.21% to trade at $790.52/Oz, while Palladium was 0.18% weaker to trade at $912.78/Oz. Brent crude gained momentum towards the JSE close to trade 1.1% firmer at $72.62/barrel just after the JSE close. At 17.00 CAT, Bitcoin was trading 0.98% firmer at $6 463.20/coin, however Ethereum was down 4.06% to trade at $287.70/coin.